From: The South part of Switzerland, Locarno. Setup: MODEL1, K2, Push2, Traktor Pro, Ableton Live, Launch Control S, Motu Mk4. 16.02.19 Living room w/ Hito, Lugano. 08.12.18 Living room w/ Florido, Lugano. 27.09.18 VETO Social Club, IBIZA. 08.09.18 DISCONNEKT at IPSE, BERLIN. 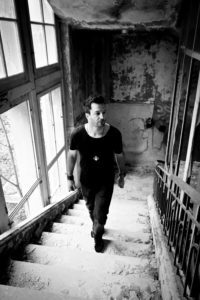 MASSIMO GIULIETTI “known as Final-X in the past and currently MAX (TECHNO) or Max Cadence (Tech-house)” was born in Locarno and he is from Vira Gambarogno, a small village close to the lake “Lago Maggiore” in the South part of Switzerland. He was introduced very young by his sister in the world of electronic music and he was straight fascinated to the sound, people who was dancing on the dancefloor and the DJ who was playing music with turntable and others electronic devices. 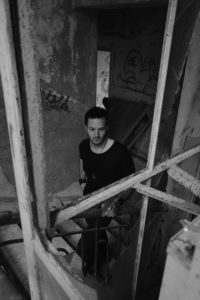 That in 1999 he started his own career buying his first LPs and practising and developping the basic DJ techniques during parties with friends. The enhanced performances through lots of exercise grats him access to many clubs and parties in Switzerland, Belgio, Italy, Spain (Ibiza), Germany. 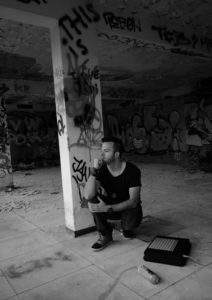 DJ & PRODUCER: He is a DJ from many years with different alias and styles, he like to be always innovative and looking forward to improve his level using the old and new tecnologies, like introducing Ableton Push, analog FX and using the MODEL1 mixer during his performance to be more attractive and unique. Currently he started a new brand with His short real name “MAX”, who everyone knows in life, to express his spontaneity and creativity in the dark Techno side. His other challenge on that project, to be complete as an Artist, is Music production. After He have builded, with a friend of Him, our semi-professional home studio and done the Electronic Music Production at SAE in Milan, He decided to spent positive hours to producing His songs. MATERIAMUSIC: it’s a music group since 2014, founded by MAX and Deepfreeze where they have developed the concept TECHNOlogies. After the success of the debut party at Livingroom Club in Lugano Switzerland in 2016, with a workshop in which we introduced the PLAYdifferently MODEL1 mixer and an after party with the Turin artist Alex Mine, the enthusiasm to give continuity to this brand it’s massive. With TECHNOlogies, Materiamusic wants to put the emphasis on the technological evolution of the artistic and musical world. Every artist is different during his performance, there are those who are using analog or digital equipment and others both. With the advent of new technologies it is now increasingly possible to differentiate itself in expressing the Art of DJing in a creative way, without limitation to make you unique. Absolutely we don’t want forget the good old vinyl records or CD, playing track after track, but, trying to evolve combining new and old technologies during the performance, maintaining the same passion and enthusiasm as the first day at the dj-booth.